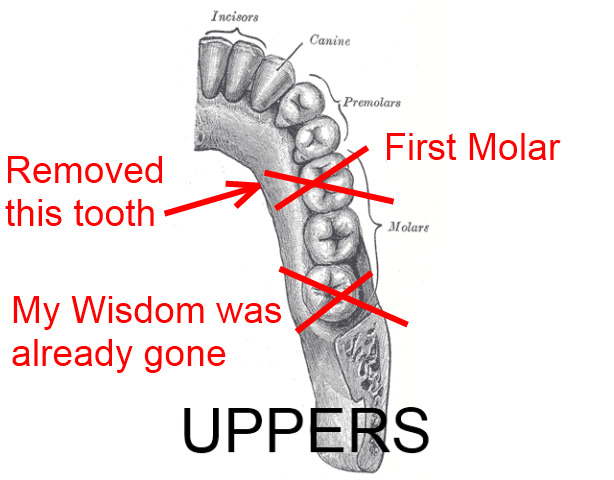 I have had an infection for the last two years below a tooth called the first upper molar. Veronica, a dentist in San Pedro told me a week ago, the tooth was dead, I started a regime of antibiotics in preparation to have the tooth pulled. Upon returning to the dentist, Veronica had decided I needed to go to Xela to a Surgeon, a city about two hours away from here. I walked into a "Charlie Foxtrot"
It would be wonderful if everyone on the planet had the situational awareness to realize when they have walked into a "Charlie Foxtrot." This is a nicer way of saying Cluster FXXXK. What happens in a "Charlie Foxtrot?" It is when a simple situation become complicated, because the people making the decisions do not have common sense, the number of bad decisions compounds. I went to the dentist to have a tooth pulled, and she had made the decision I needed to travel two hours away, arrange with a surgeon, and have a tooth cut out. What should have been done in 30 minute was turning into a 5-7 day project. I had already invested three day into taking antibiotics and thinking about having the tooth removed. Trust me, sitting around anticipating a tooth being pulled is no fun. I could have had a root canal, and would have maybe been a good option, if I lived in one location on the planet, whereby I could return to the same dentist easily. This in the USA would have escalated into 3-10,000 Dollar, while here it was between 300 and 1000 Dollars. My tooth started hurting in the Philippines one time, and the pain was so bad it became an emergency, no person could tolerate this level of pain. I was lucky that time, I solved the problem with the least amount of problems. If this happened again, in the wrong place, the wrong country, I could have catastrophic problems. I could be rushed to the hospital, and teams of truly stupid doctors could run up expenses from me from 3000 to 10,000 dollars. It is or was just a matter of time until the excruciating pain problem returned. Root canal has between a 50 and 95 percent success rate, this means I could have extreme pain in the future, in an uncontrolled environment. Removing the tooth has about a 98 percent chance of having extreme pain in the future. If I remove the tooth, my chances of extreme pain and problem goes down to about two percent. 1 in 100 people have common sense. I have been trying to figure this out, and estimate percentages now for a few years. My guesstimate is that about 1 in 100 people have common sense. This is the person that should be running the company, leading the troops into battle, and investing in the stock market. Sadly, 99 percent of people believe they have good common sense, and one percent have the humility to accept they need to quadruple check themselves. Savvy people are capable of entering into Charlie Foxtrot’s and coming out the other end as winners. Generally, there are some simple signs of lack of common sense when traveling, for example: If a person is robbed on a regular basis, if a person misses a plane, if a person arrives in the dark to to check into their hotel room, etc. I returned across the lake, took a taxi to another dentist, paid him 13 US Dollars to remove the tooth, went back to my room and watched TV. What is different here is that I am 100 percent responsible for my decisions in life and truly do not grant dentists, doctors, guides, writers, or other people the right to make my best decisions. Now, am I the 1 in 100 with common sense, that is the big question --- or am I an idiot?